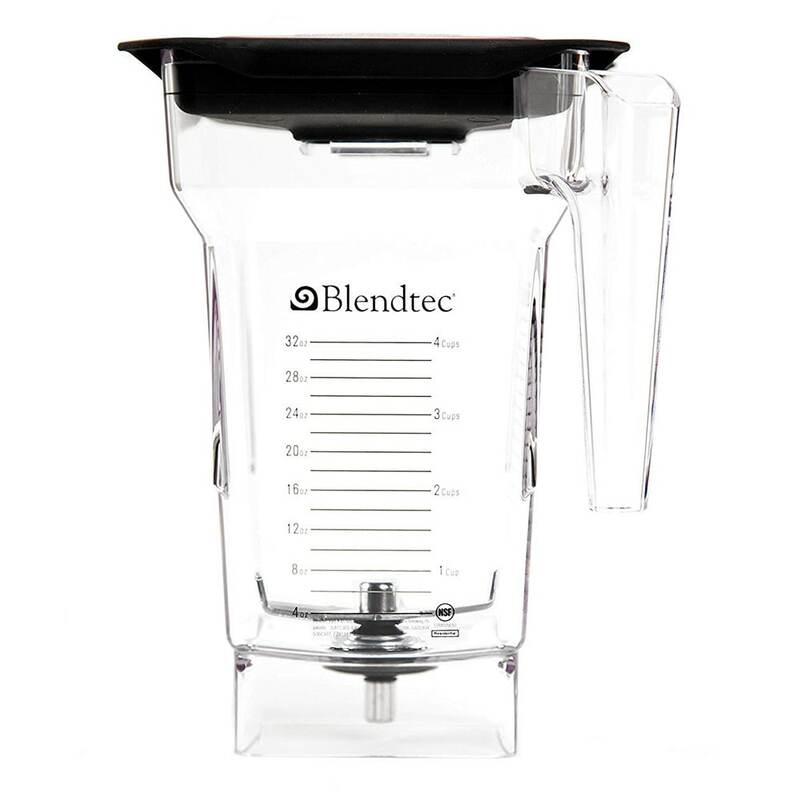 The Blendtec 40-609-62 FOURSIDE-H FourSide blender jar is compatible with all of the Blendtec blenders. It is meant to only be used in a sound enclosure. More friction is generated with this jar because of its square shape, resulting in a smoother mixture. The 3-inch, wingtip blade is small tuned and is thicker than other blades. The hard, black lid is sturdy and will not come off during blending. The entire Blendtec 40-609-62 FOURSIDE-H FourSide blender jar is made from Eastman Tritan™ co-polyester and is BPA free. Cup, milliliter, and ounce markings on the side made measuring a breeze. Even though the highest marking is 32 ounces, the jar can hold 75 ounces. 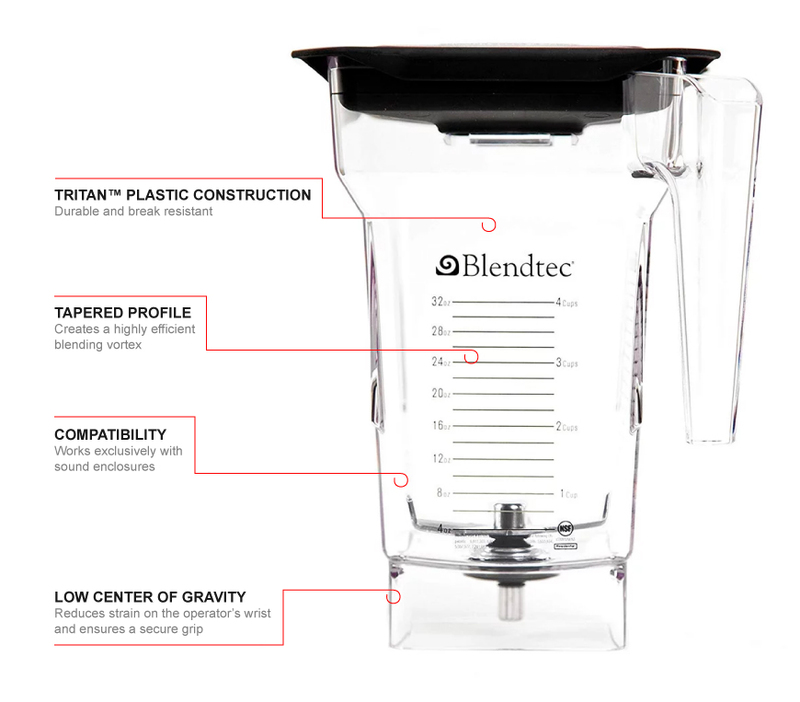 "Much less expensive than what I was told by Blendtec I needed for my model#. Guess what???? they all fit their blenders. 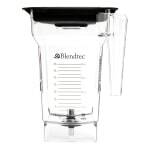 by what you can afford..."
"Much less expensive than what I was told by Blendtec I needed for my model#. Guess what???? they all fit their blenders. by what you can afford because they will all work." Just fit for my blender. Fast delivery and good price.